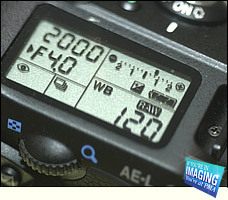 Pentax recently launched a press release in which they unveiled a yet to be named Pentax 10 megapixel digital SLR camera body, tentatively scheduled for a formal launch in Autumn 2006. There is still little information about this new Pentax Digital SLR camera available, as the camera is still under development. 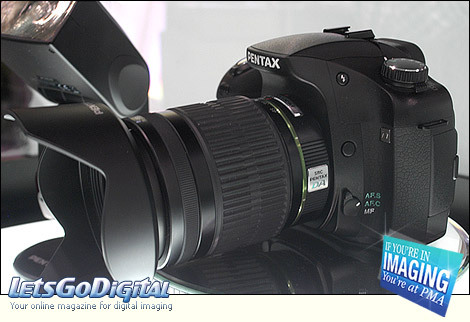 But Pentax already showcases the new SLR camera, under glass, at the Photo Marketing Association (PMA) Show, held in Orlando, Florida. Pentax smc DA 21mm F3.2AL Limited lens - Along with the announcement of this Pentax digital SLR body, the manufacturer announced a tenth lens that is compatible with the Pentax digital SLR system. The smc Pentax-DA 21mm F3.2AL Limited is an interchangeable uni-focal wide-angle lens for exclusive use with Pentax digital SLR camera bodies. The smc Pentax-DA 21mm F3.2AL Limited offers a wide-perspective coverage with a 68-degree angle of view (equivalent in focal length to 32mm in the 35mm format, when mounted on a Pentax ist D series digital SLR camera body), the lens features a Pentax-original KAF lens mount. 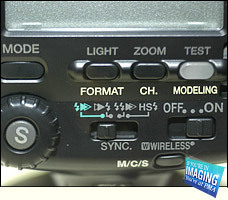 Pentax has tentatively scheduled the lens launch for June 2006.